Ruby | Gemstones from A-Z at Rocks & Co.
Back Home Gemstone Information Ruby | Gemstones from A-Z at Rocks & Co.
Ruby, whose name is derived from the Latin ‘ruber,’ meaning red, is the birthstone for July. Ruby’s intense crimson colours have mystified, entranced and romanced since it was first found over 2,500 years ago. Sri Lankan Rubies may have been available to the Greeks and Romans as early as 480 BC. Ruby was once known to the ancient Indians as 'ratnaraj', the king of gems, they believed Rubies could endow a long life. Ruby is among Diamond, Emerald and Sapphire as being one of the most well-known gemstones. Ruby and Sapphire are colour varieties of the mineral Corundum (crystalline aluminium oxide). Corundum produces 'other coloured' gemstones, meaning that trace amounts of elements such as chromium, iron and titanium as well as colour centres are responsible for producing its rainbow of colours. Corundum's reds are called 'Ruby' and its other colours are called 'Sapphire'. The red colour found in Ruby is due to the chrome and the brown hue to iron. When it comes to Ruby, the intensity and purity of its signature reds are where the value lies. Ruby's 'pure' reds seldom exist, as it is a diochroic (two-coloured) gemstone. Even the 'finest' Ruby will still only be around 80 percent pure red, with secondary splashes of orange, pink, purple and violet. While a gemstone's colours should ideally remain beautiful in any light source, Rubies usually look their best when viewed outdoors in natural light or under incandescent lights. 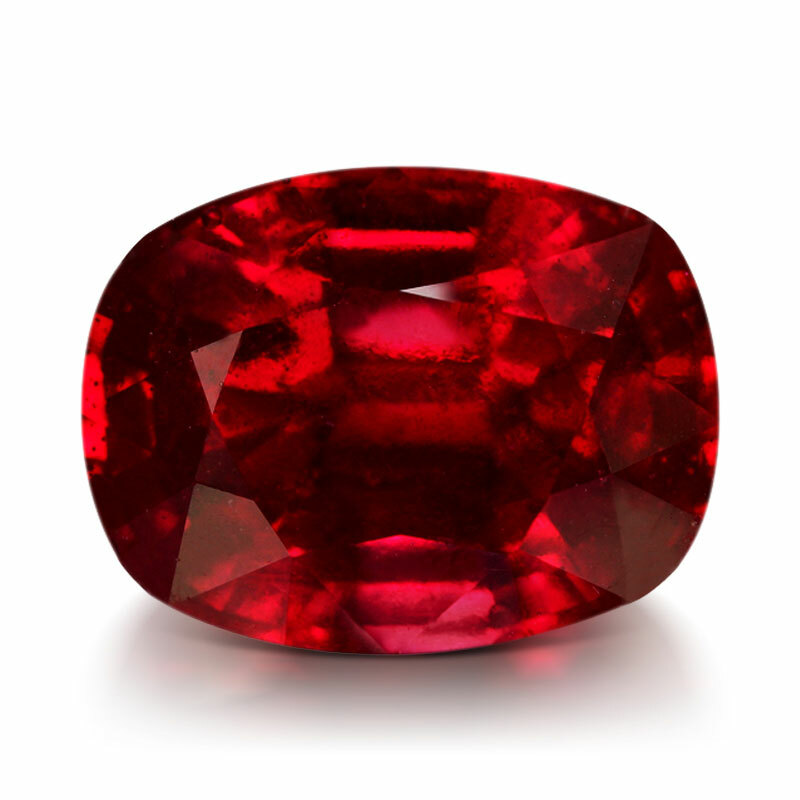 While both Ruby and Sapphires are classed as Type II gemstones (gems that typically grow with some minor inclusions in nature that may be eye-visible), Rubies are usually more included and smaller. While an eye-clean clarity is desirable, just remember that perfection in nature is a scarce commodity indeed; an eye-clean Ruby is extremely rare. Rubies are available in a huge array of shapes and cuts with ovals being the most common. It is also cut 'en cabochon', not only for its star varieties, but also for examples whose clarity makes them unsuitable for faceting. 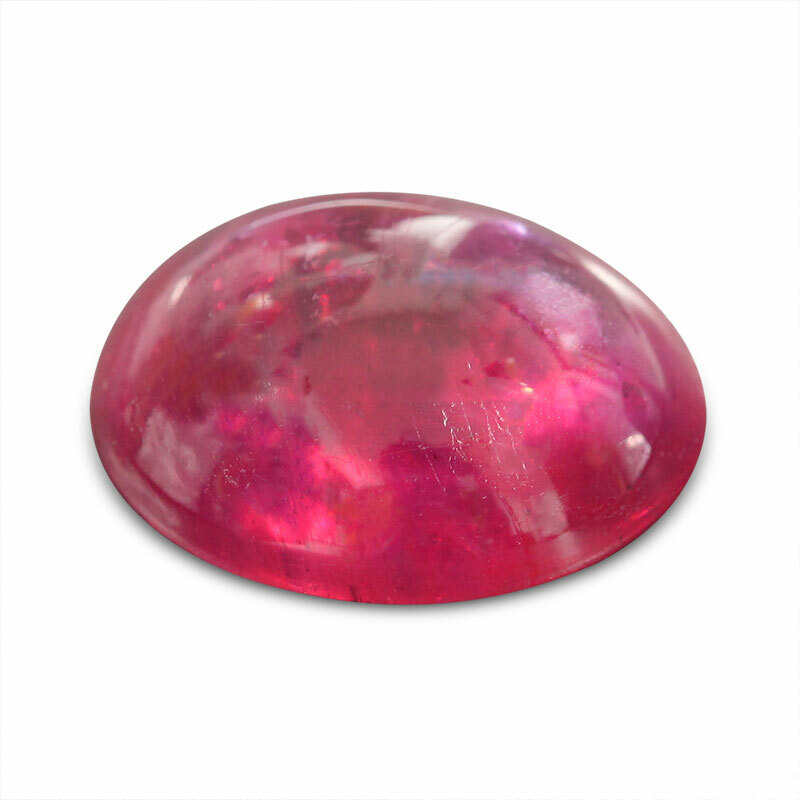 Sri Lanka may be the oldest source, the 'classic' origin for Ruby is the Mogok Valley in north-central Burma. Today, Ruby is also mined at Möng Hsu in Burma's northeast. Burma is still regarded as the world's finest source because of its Ruby's classic colours and transparency. Other sources for Ruby include Afghanistan, Cambodia, China, India, Kenya, Madagascar, Mozambique, Pakistan, Sri Lanka, Tanzania, Thailand and Vietnam. Due to an optical special effect called 'asterism' or the 'star effect', parallel needle-like inclusions create a reflected luminous star of light that moves across the gemstone. For Corundum, reflections from a whole host of tiny rutile needle inclusions, also known as silk, cause their stars. A unique and rare gemmological phenomenon, Star Rubies were sometimes known as 'the three swords' in Europe, due to their alleged ability to banish evil, bring good luck and help find a good spouse. 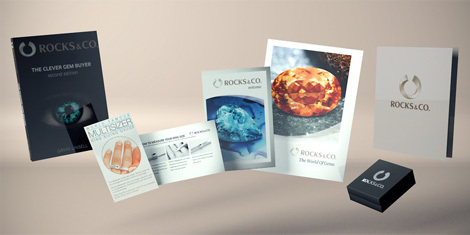 All star gems are dependent on a gem being cut 'en cabochon' (cut in convex form and highly polished, but not faceted). While asterism is most visible in a direct, single beam of light, a well-cut star gemstone has a distinct star whose rays are straight and equidistant. The norm is a six-rayed star, but 12-rayed stars also occasionally occur. 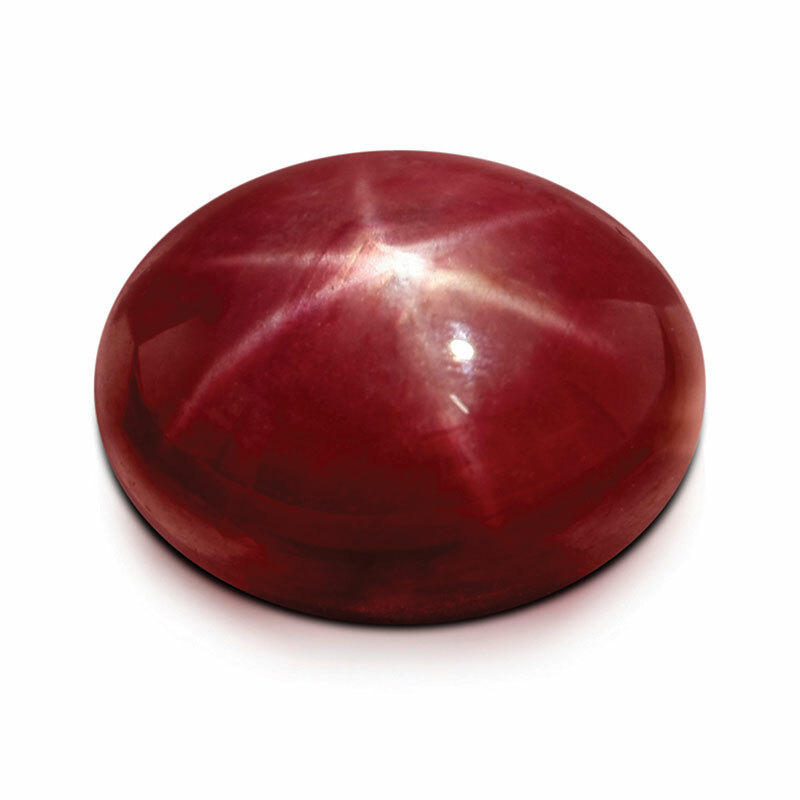 In Star Ruby, the distinctiveness, intensity and transparency of the red body colour are also important value considerations. While the gem gravels of Sri Lanka are the world's 'classic' source, having supplied this gemstone for over 2,000 years, other modern sources include Burma, India, Madagascar and Mozambique.